Hard drives are needed to store information and access it on demand. And quite often there would be more than one hard drive installed in a PC, which is a reasonable solution. Installing the operating system on a separate HDD or SSD drive and storing files on another drive may seriously speed up Windows operation. But sometimes you may face a common problem – your computer does not recognize the hard drive. It may occur because of some software or hardware failures. Loosing access to the stored information is quite unpleasant, so you should know what to do if Windows does not recognize the second hard drive. The advices given in this article refer, first of all, to the internal storage but also they can be projected onto external hard drives as well. If Windows operating system does not recognize the hard drive, there is a possibility that it is basically not working. There can be many reasons for this to happen: physical damage, failure of some components, electrical breakdown and others. Before you determine why your computer does not see the hard drive, you need to make sure that it actually works. There is one good way to test the hard drive’s performance – connect it to another computer. 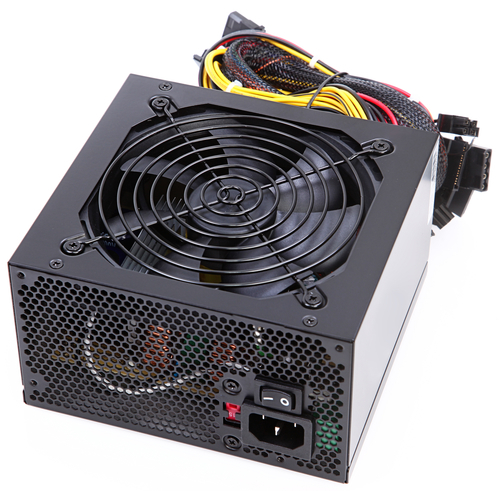 To do this, it is better to find the system unit with several drives already installed in it, disconnect one of them, and connect the tested hard drive in its place. 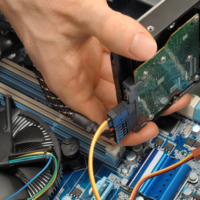 If the drive does not work on a third-party computer, it is better to take it to the service center to repair. Experts there will determine the cause of the problem and report whether there is an opportunity to restore the hard drive or at least information that was stored on it. If testing the drive on a third-party computer showed that there are no problems with its operation, you may try to determine for yourself why your PC does not recognize this particular hard drive. Below are the main possible causes of such a problem. The most common reason for the PC not to be able to recognize the hard drive is its wrong connection. 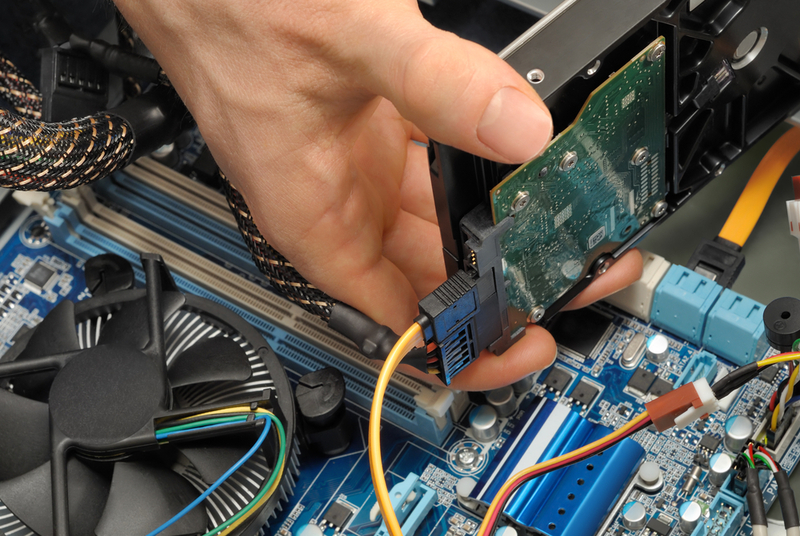 You need to make sure that the connector on the motherboard where the drive is connected is working properly (you may want to connect another hard drive to it just to test). If there is no problem with the connector, make sure that the cables are securely connected and the contacts are transferring power. You may want to try using other cables to connect the drive. Experienced PC users know that in BIOS you can set the loading order for all drives, both internal and external. This may be required, for example, to install an operating system from the USB flash drive. If your computer does not see the hard drive, there is a chance that it is set to low priority in BIOS or disabled at all. To fix this situation, you need to run BIOS (to do this, press Del or F2 key when your PC is booting). When BIOS opens, you need to go to the section with information about the drives priority (find the BOOT item). Next, you need to put the hard drive that was not recognized by your computer on the first or second place. Now you only have to save the settings and restart the system unit. Sometimes BIOS itself does not recognize the hard drive. Accordingly, there is no possibility to set its load priority, which means that the drive will not start with the system. You can determine BIOS failure by the system date and time. If they are incorrect, the best solution is to reset BIOS settings, which requires you to get the battery out of the motherboard for half an hour, then install it back and try to start your computer. If your computer has two hard drives from one manufacturer and both of the same models they may have problems working together. In this situation, you need to configure one hard drive, then disconnect it and set other settings on the second hard drive (change the name, “drive letter” and other parameters that are identifying the drive). Windows XP and older operating systems may not support the SATA (SATA 2) interface, which is connecting modern hard drives. Microsoft has implemented support for this protocol in the new versions of Windows XP. If on your computer the operating system has not been reinstalled for a long time, there is a chance that it simply cannot work with a hard drive connected via SATA (SATA 2) protocol. In this case, you will need to reinstall Windows XP to a version with integrated protocol drivers or to install a more modern operating system. Another common problem, which may cause a malfunction when your computer does not recognize the hard drive, is a lack of power. Listen to the hard drive after turning on the computer. If it starts to make noise (accelerate), and then ceases, it may be in lack of power. In this situation, you should try to disconnect one of the power consumers from your computer to test the hard drive. If after disconnecting one of the devices hard drive will perform normally and without any problems, you will need to install a more powerful power supply unit. When the hard drive is detected in BIOS and is rotating when your computer is turned on, but does not appear in the Windows operating system, it may be a sign that you need to perform the first drive configuration.